InfoKID is a website which provides information for parents and carers about kidney conditions in babies, children and young people. The information covers a range of conditions, symptoms, causes, diagnosis, treatment and management. 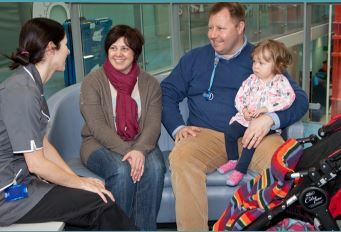 InfoKID was developed from discussions and focus groups with families of children with kidney conditions. The feedback they provided helped inform how infoKID was developed. You can read the information on screen or download leaflets as PDFs. InfoKID is a partnership of three organisations: the British Association for Paediatric Nephrology, the Royal College of Paediatrics and Child Health, and Kidney Care UK.